Such a beautiful set! This nativity set was designed by the artist, Susan Lordi, to provide an enduring classic portrayal to the birth of Jesus. This Nativity angel is as loved today as when it was originally introduced in 2000. Its simplicity and form has made it a timeless classic. As a Christmas gift, wedding gift, or something for your own home, the Willow Tree Nativity continues on as a family tradition. 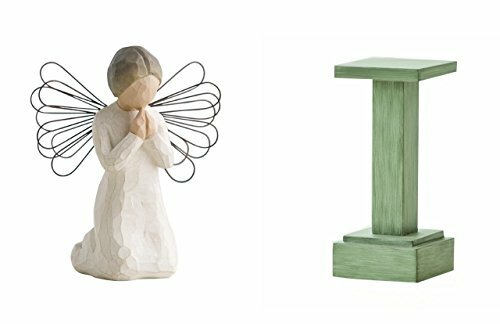 The "Angel of Prayer" angel and stand are perfect for adding some dimensional interest to the back of the nativity scene. Angel stands 4" tall and the stand is 6" tall.